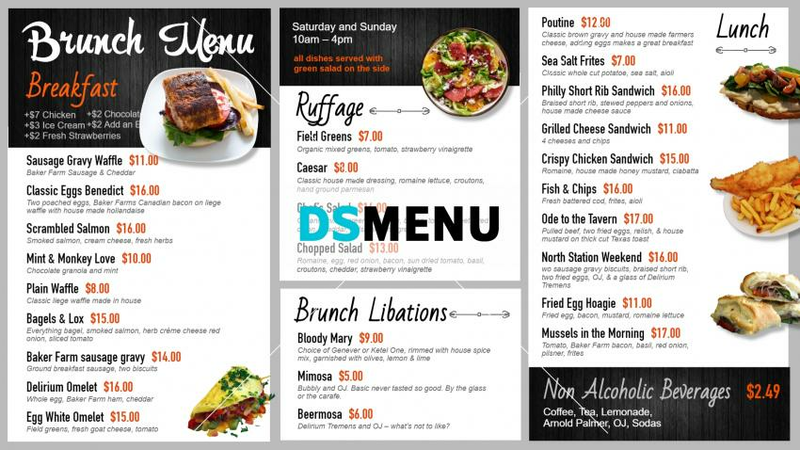 This menu board presents an epitome of refinement and finesse. The colors in white background with black lettering along with multi-color graphics presents a rare sophistication conceived with sheer delicacy and expertise. The menu is rightly devised with a wide range comprising of salmon, waffles, roughage, libations along with lunch menu. On a digital signage screen the target audience will not only get enticed by the stunning visual appeal but will build loyalties with the restaurant.